Lawnmowers have to have enough power to get the job done and that’s true no matter what the power source is. We all have different ideas about which type of lawnmower is best, but what we probably can agree on is that a lawnmower that tends to bog down and stall out when the going gets a little rough makes for a frustrating experience – one that will leave you wishing you’d spent a little more and opted for a more powerful model in the first place. 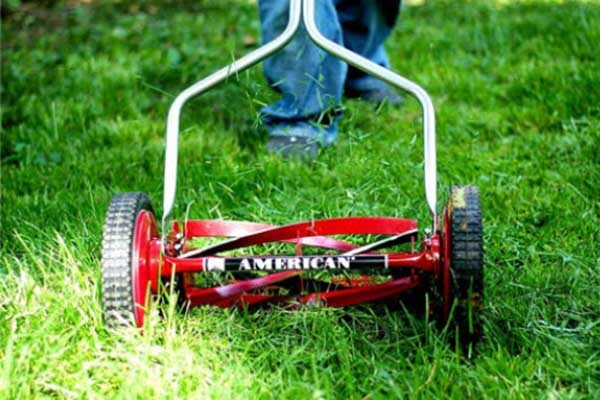 In order to make sure you have a mower that’s powerful enough for your particular yard you need to first understand something about the power source that the type of mower you’re planning on buying uses. If you educate yourself first you won’t be frustrated with the results later. If you want to find out more about this topic, keep reading! Most people have some idea about how a gasoline-powered lawnmower works and we understand that more horsepower means a more powerful engine, but what’s powerful enough? How much horsepower do we really need? That will depend on how much lawn you have to cut and the overall landscape of your lawn. If you have a lawn with a lot of uneven ground and some areas where the grass tends to grow a little longer, you’ll need something with a little more horsepower. Most push mowers tend to have between 2.5 and 4.0 HP; with your assistance in providing the muscle power to move the mower this is more than enough, although I would recommend aiming for the higher end of the spectrum to make sure that your mower doesn’t bog down or stall out. 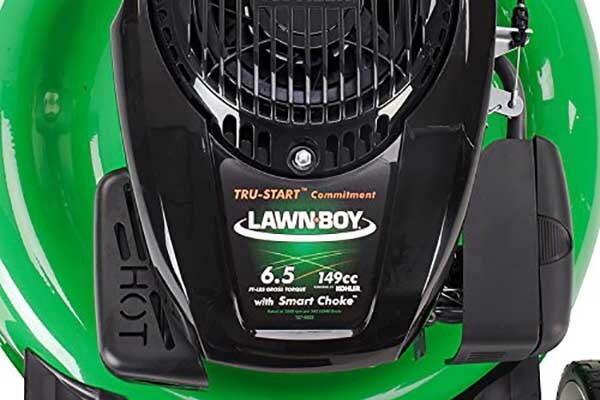 Keep in mind that if you decide you want to purchase a self-propelled lawnmower you’ll need a little more horsepower – probably between 5.0 and 7.0 HP. If you have a larger piece of property that requires a riding mower you should look for one that has somewhere between 15.0 and 20.0 HP – there are riding lawnmowers with a little less power than that, but I would probably stay away from these as they don’t tend to do a very good job of cutting your lawn. If you decide to go with a more environmentally-friendly option such as an electric mower you don’t really have to worry about horsepower – as long as you have a reliable power source. While there are electric mowers that work off of less than 12 amps it’s unusual; the vast majority of them are all powered by 12 amps. You can find mowers that utilize only 6 to 8 amps of power, but unless you have a really small flat lawn I would recommend avoiding these. 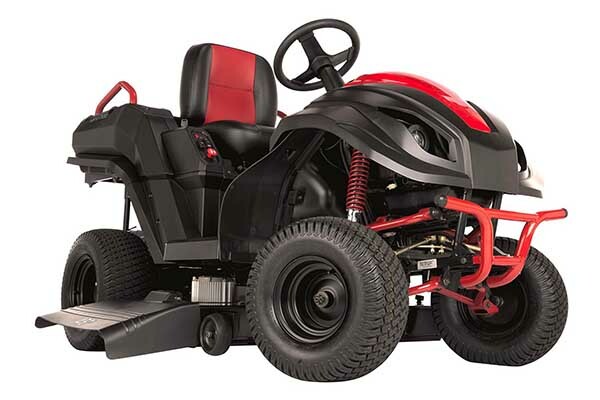 On the other end of the spectrum there are one or two manufacturers that do offer a 13 amp lawnmower and if you can find one of these at a reasonable price there’s nothing wrong with having a little extra power. As long as you stick to the 12 amp rule you’ll probably be okay. Your main concern with an electric mower is that you have a reliable power source nearby to plug it into. When it comes to battery-powered mowers it’s a different story. 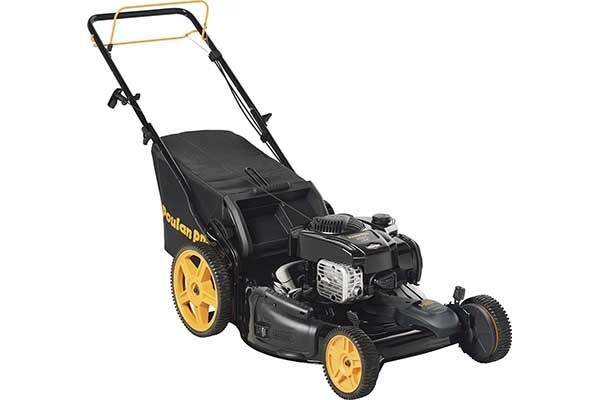 These types of mowers are normally rated on how many volts their battery produces; if you want one that’s going to work effectively on most average-sized lawns you’ll need to be looking for one that’s at least 36 V and preferably at least 40 V – anything less than that and you’re likely to end up having troubles if you’re cutting grass that’s a little bit longer or if you have a yard with a lot of uneven terrain. 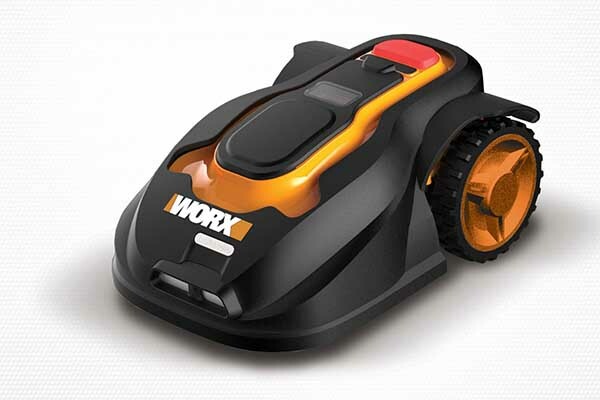 While they’re not as common, there are some manufacturers these days that offer 56 V of electric current for their lithium ion battery powered mowers. This extra bit of power can get you through those tough spots on your lawn and will keep you working when other mowers fail. As you might expect, you will pay a little bit more for mowers with this type of power. But, as the saying goes, you get what you pay for. 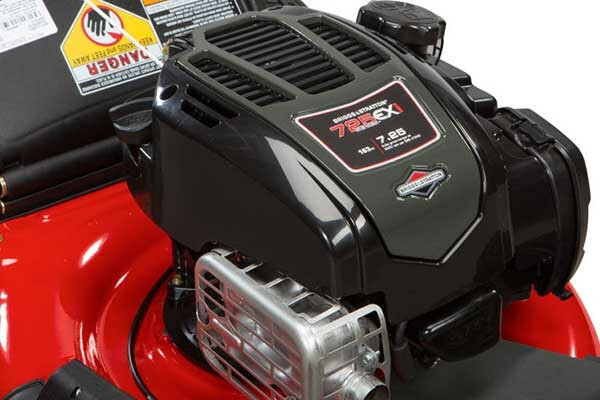 As you can see, determining if your lawnmower has enough power to handle the lawn cutting duties you plan on putting it through is not as simple as understanding horsepower. This may be appropriate for gasoline-powered lawnmowers, but it’s totally irrelevant for electric or battery-powered mowers. Hopefully this article has helped you to understand what you should be looking for in terms of power for the various types of lawnmowers on the market today.